Although the technology behind our live review on Friday evening wasn’t too stable, I’m happy to report that the N350 is. Apologies to all those that experienced the dropouts. With a free video streaming service I guess there’s not much we can complain about but we’ll do our best to improve it next time. 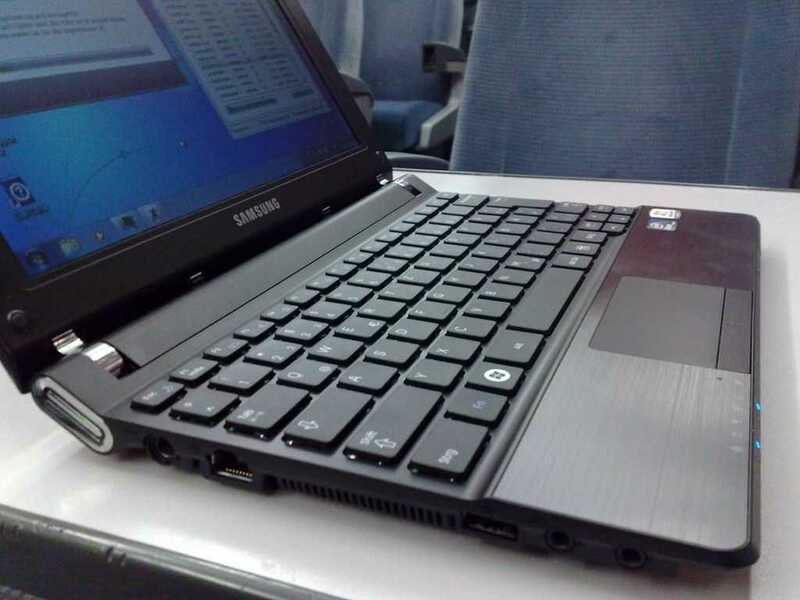 We’re testing the Samsung N350 because it’s one of, if not the lightest netbook on the market. 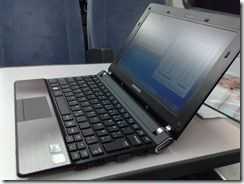 Not only that but it’s a dual-core Atom netbook using the N550 processor at 1.5Ghz. 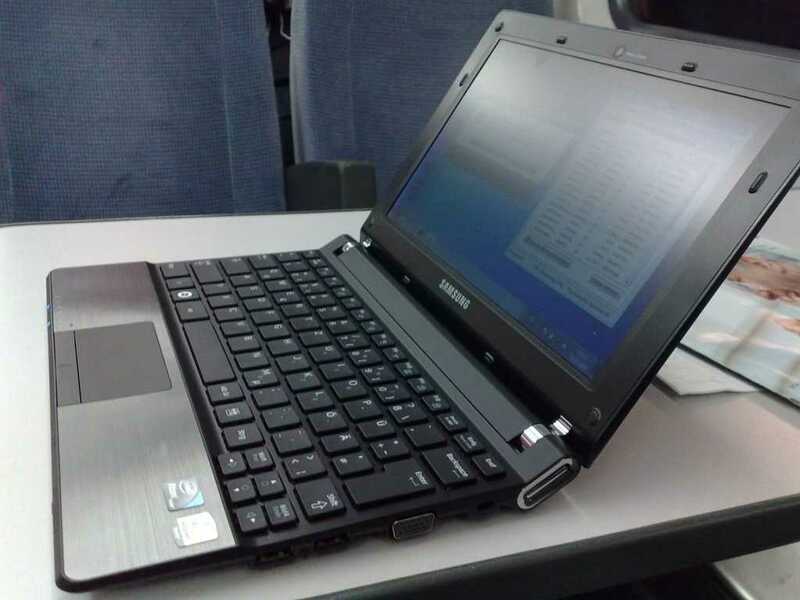 For those who already have a netbook and are looking to upgrade without having to increase the weight, the N350 has to be at the top of the list. Not only is is running the N550 CPU but there’s easy access to the DDR3 RAM for an upgrade and a standard 2.5 inch SATA drive that can be replaced with an SSD if you want to improve ruggedness. (Disk upgrade will void the warranty though.) Unfortunately there’s no 3G in this version but there’s a covered SIM card slot and space on the motherboard so clearly there are plans to release a 3G-capable model. The only thing you have to think carefully about is the battery life. More about that below. 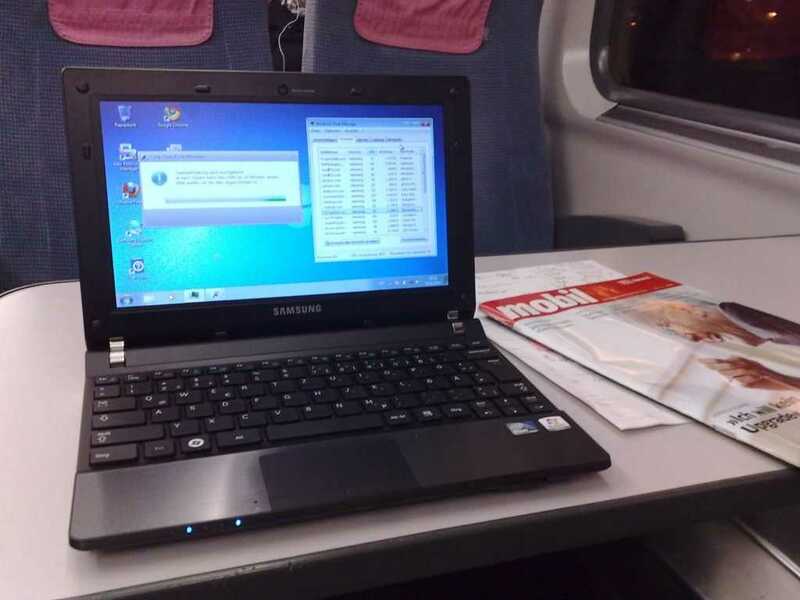 The matt screen and good build quality â€“ I’m typing stress-free and almost silently on my train journey to Duesseldorf this morning â€“ add to the quality package and it looks like Samsung have once again done a great job. You’ll pay 20-50 Euro more for the N350 than for other, similar netbooks but for mobile use, it’s worth it. 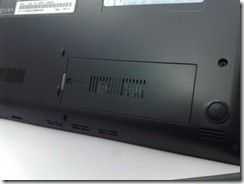 When Intel introduced the Dual-Core Atom this year they demonstrated high quality video playback. Sure, the performance is better but don’t get too excited about very high-end video. For one, you’ve only got a 1024×600 screen with VGA out. Secondly, that all-important benchmark of 720p YouTube is hit-and-miss. In our tests we didn’t see smooth playback at all. Offline videos do work well though with 720p at high bitrates possible. We saw a 4mbps DivX playing with just 25% CPU load, an H.264 at 2mbps playing at 40% load and a 7.5Mbps WMV at 40% load. All this is happening through the CPU and not through dedicated video hardware. 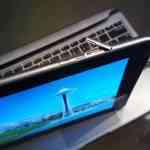 In our CrystalMark test we saw an impressive 36000 which the highest we’ve ever tested on a stock netbook. The CPU score and memory speed was impressive. An SSD could push that score up a lot higher though as we’re only seeing average disk performance. In practice the disk seems quite good though with a boot taking just 40 seconds. We got from cold boot to Wifi-On in just 55 seconds. Return from standby is quick too with Wii available in 10s. There’s a ‘quick boot’ option which we worked our way through but despite the 10 minute set-up, it did’t bring any huge improvements in cold boot. Maybe we need to look further into that because it sounds like a good idea, at least. Easy access to RAM upgrade. Battery life could be an issue on the N350. With 80% of the battery left we’re seeing an impressive 5hrs left but that’s the good side of the story. The range of battery drain on the N350 ranges from an impressive 3W, (again, the best we’ve ever seen on a netbook) up to well over 10W. 12W is probably the limit but with Wifi connected, screen level to 50% (brighter than most people will require) and a few Flash-enabled browser tabs open while you do some web work, you’ll see an average 10W drain. It’s no worse than any other netbook but it will drain the battery in about 3.5hrs. Fortunately the device idles down well. 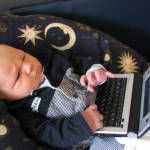 We’re typing away happily at 25% screen brightness, Wifi and BT off in power saving mode and 5hrs seems possible. For those just wanting to do some word processing, it’s a good result from a 33Wh battery. So what is the Dual-core CPU bringing? We mentioned the better video performance above but one of the main things we’ve noticed is the smothness of the Win 7 experience. We’ve experienced a certain amount of lag in previous Windows 7 netbooks that we’ve tested but this build seems to match the requirements of Windows 7 very well. OK, were only running Windows 7 Starter edition here but that doesn’t deter from the fact that the N350 is a product that works smoothly. The other advantage we’ve noticed is the speed and smoothness of browsing. We’re using Firefox 3.6 with Flash enabled and there’s a definite improvement over previous generation and single core Pinetrail netbooks. Although we haven’t tested it, we suspect a 2GB RAM upgrade and an SSD would turn this into quite the performer for both speed and multitasking although don’t expect to render those videos in much less time than on a normal netbook. As a reference point, we’re seeing about 20% improvement in the SunSpider result under Chrome. 1300ms isn’t too bad and that 20% figure is what you should expect as a general improvement over-all. Dual-core doesn’t directly translate to 2x performance! 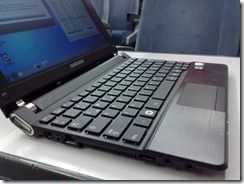 The N350 is delivering a smooth, quality and highly mobile netbook experience and one we’re very happy with. The battery life is definitely something to think about and most mobile workers are going to want to invest in at least a second three-cell battery. Those wanting a high-end Flash video experience will want to evaluate requirements tightly too. At 1060gm and with RAM and SSD upgrade possibilities, the N350 is one to take a closer look at if you’re wanting a highly mobile full computing experience. We’re using the N350 at the MeeGo Conference in Dublin this week so check back for more long-term thoughts soon. 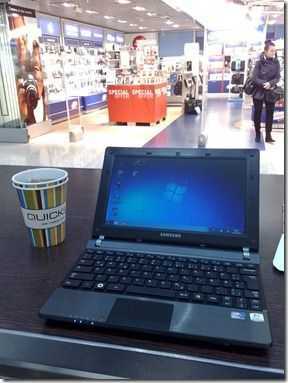 This review written on-the-go using the N350, the Nokia N82 for photography and a Samsung Galaxy Tab as a 3G access point. why do they even bother putting VGA on a device where the Atom caps out at 14×9? no monitors these days have resolutions these days. is it to fool the customer into perceived value? Intel makes such bad decisions when crippling platforms, i can hardly wait for AMD’s Ontario & Zacate to show them proper performance. PCper will have benchmarks revealed next week & they already quietly stated to expect CULV & Atom (especially) to get absolutely crushed at near/less wattage. goodlooking machine though, just needs a better CPU. I disagree. Ontario needs to clock at 1GHz to get 9W TDP while the Atom N550 clocks 1.5GHz @ 8.5W. You might say clock speed isn’t everything, but their PCMark Vantage scores show the CPU clearly underperforming the current Athlon Neo CPU. At 1GHz, it won’t be much faster than Atom. That’s not to say Ontario and Zacate are bad products, but CPU won’t be its strength and power usage will be better on Atom. The strength of the new AMD chip is on the graphics. re: the VGA, maybe I’m in a minority but one of the key advantages for portability for me is being able to give presentations on the go; I work at a University and have to give lectures, research seminars and talks to schoolkids. As long as the laptop is able to output something a projector can use, I’m happy; I would have to think twice about a device that couldn’t support some kind of projector out. 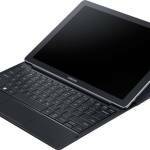 This device is among the top on my list of potential new netbook. I don’t need that much CPU power, though it’s nice to have the possibility. As long as it’s quite energy efficient at low usage, that’s fine. What I especially appreciate is the moderate weight. Do you know if there is also a 6 cell battery available? How much would this weight? actually that’s the question. 3 cell and/or 4 cell equipment does not make any sense these days if long endurance and mobility is concerned. this also means: how does a 6-cell fit into the body … killing the ‘nice’ 3-cell design or fitting it. i so far know only the old eee1000 & 901models where high capacity batteries did fit the original design without form factor quirks. the new hp Mini 5100 series take their 6-cells nicely too. 6-cell is available. Yes. 66wh so it’s a good one too. 10hrs I guess. How does this compare to the n230 for simple use whilst travelling? I personally haven’t used the N230 but it’s the same in terms of size/weight. Just about 20% slower! 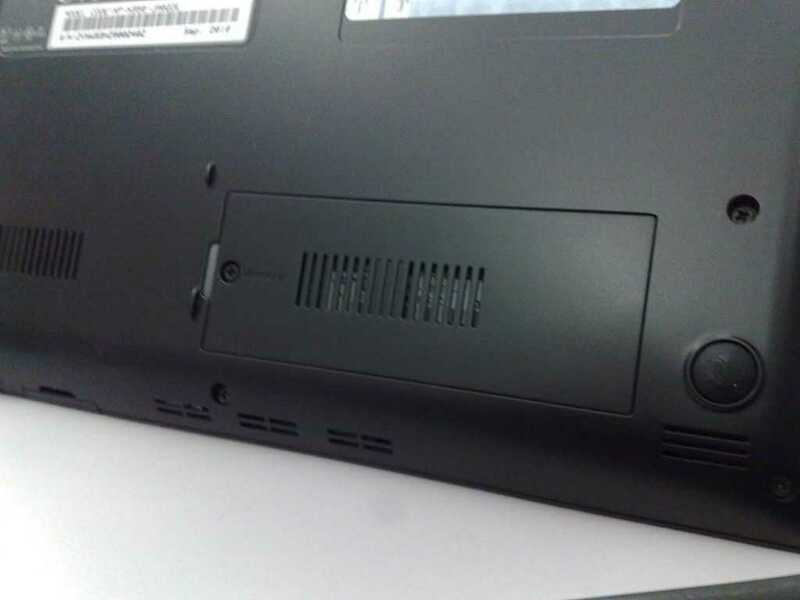 If you want a 6-cell netbook, the design is excelent. Fast-start mode is really good. Really works! How bad does the 6-cell protrude? 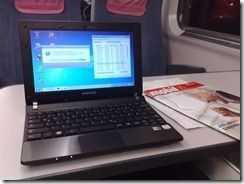 I was wondering, does anyone have an idea if this Netbook works well with Ubuntu?